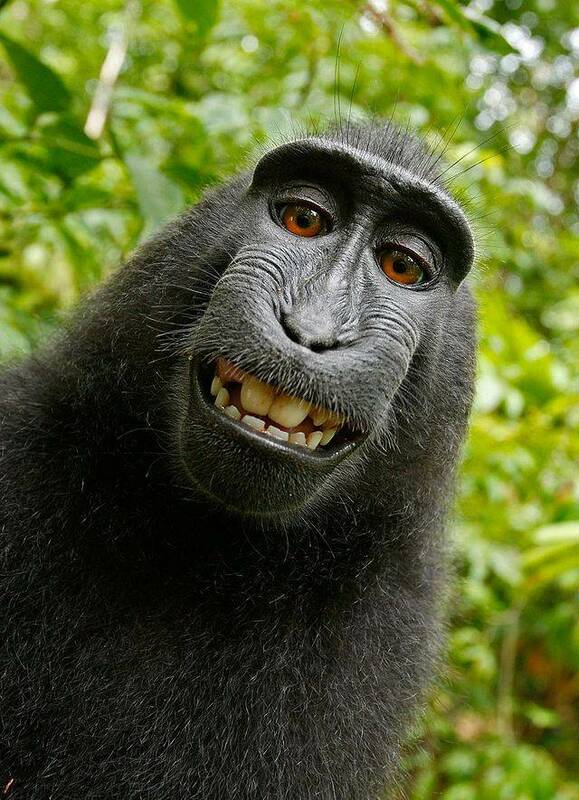 The US Copyright Office has refused to register the copyright of the infamous selfie taken by a monkey. The Office said in its latest copyright law compendium (PDF) that images taken by animals, including the 2011 primate self-shot, could not be registered for copyright by a human. "The Office will not register works produced by nature, animals, or plants," the US copyright authority said. "Likewise, the Office cannot register a work purportedly created by divine or supernatural beings, although the Office may register a work where the application or the deposit copy(ies) state that the work was inspired by a divine spirit." The document specifically cites the monkey picture which has been the source of a legal battle between the Wikimedia Foundation and a British photographer. Nature photographer David Slater said that the image was taken in 2011 when a mischievous macaque swiped his camera and was found to have pressed the shutter button a number of times. The image would later become an internet hit and was picked up by Wikipedia, only to touch off a legal battle over whether Slater owned the rights to the image (and the royalties which come with it).